As my dad used to say, the heat didn’t mickey-mouse around this year! It jumped into pushing 100° faster than kids in a swimming pool. 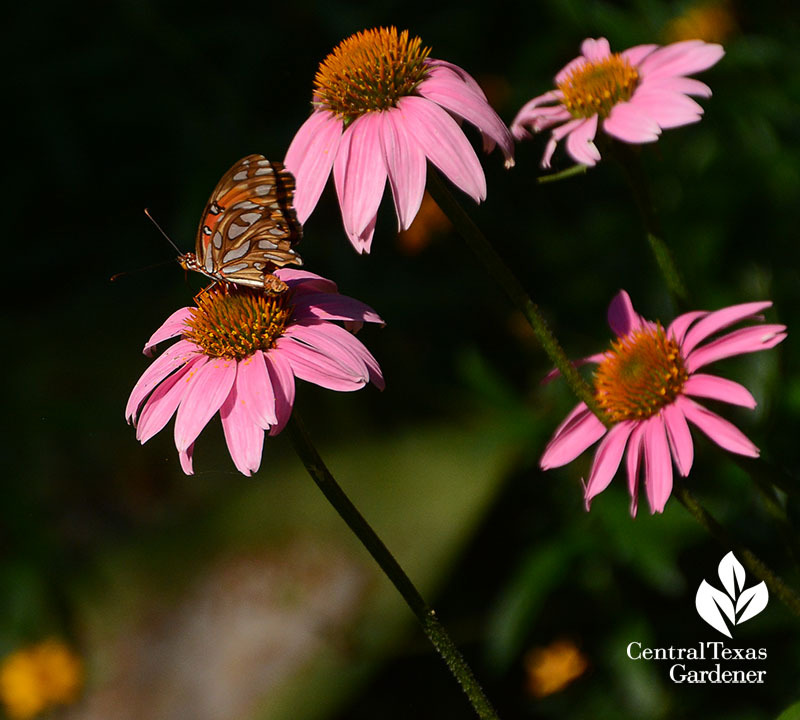 My eyeballs practically fried when I dashed to get this shot of a Gulf Fritillary on a coneflower (Echinacea). She’d had a busy day depositing eggs on passion vine and was ready for happy hour. 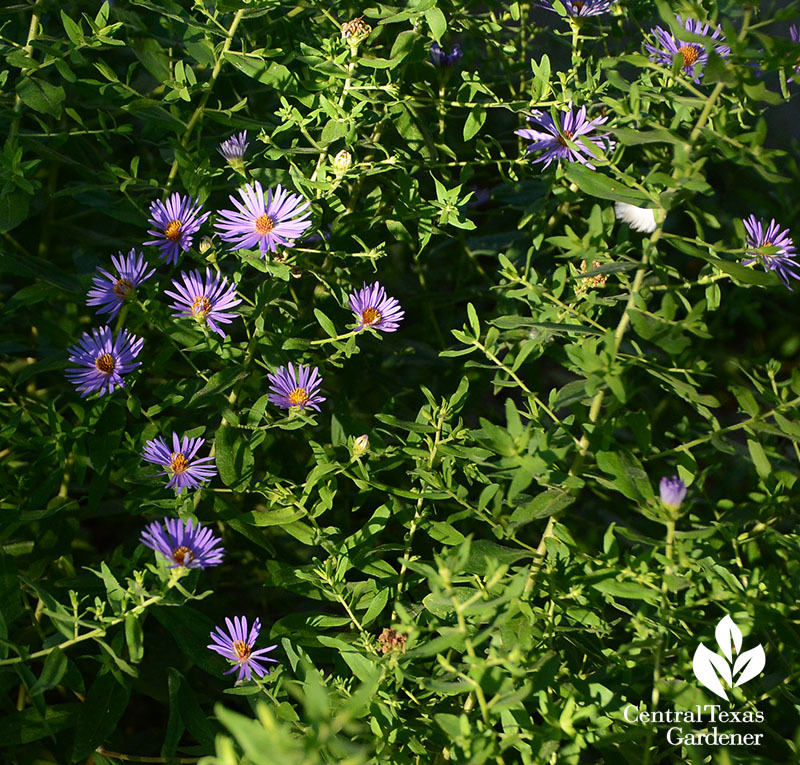 I suppose cloudy days and rain a few weeks ago prompted blooms on fall asters, most appreciated by bees. On the other side of that backyard path, snake herb (Dyschoriste linearis) keeps up a color scheme I really hadn’t considered when I planted this drought tough perennial groundcover. You can see how hot light impacts my garden very quickly! 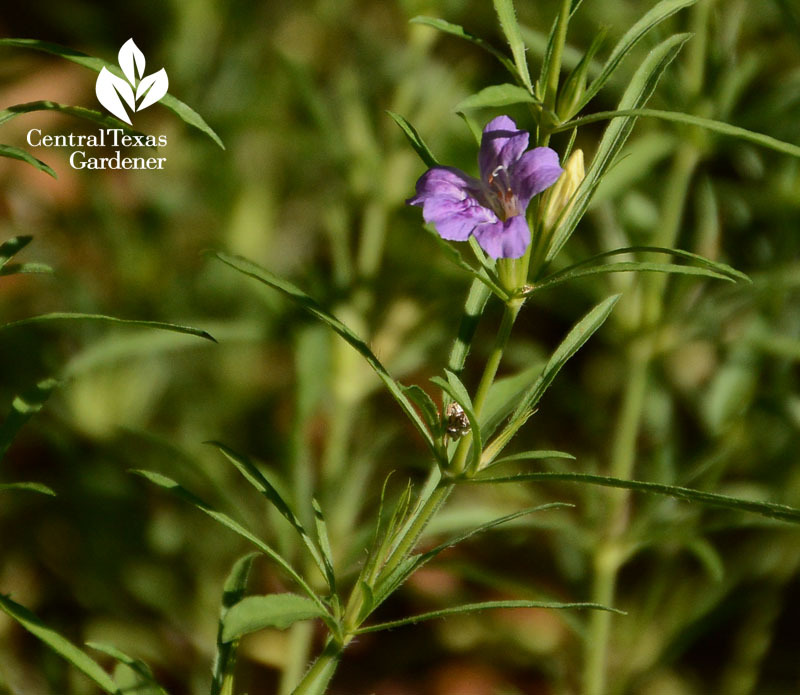 Although it doesn’t care if temps are 100° or 20° once established, this native’s a bit aggressive, like mistflowers (Conoclinium). That’s fine by me, since butterflies love the flowers and it fills no-care borders (if you don’t have deer). Heat-lover woolly beebrush (Aloysia macrostchya) is still young but eager to wave flower flags at passing bees and butterflies. It’s content in my non-rocky soil since I don’t water much. The winecups, though, soon head to summer break. 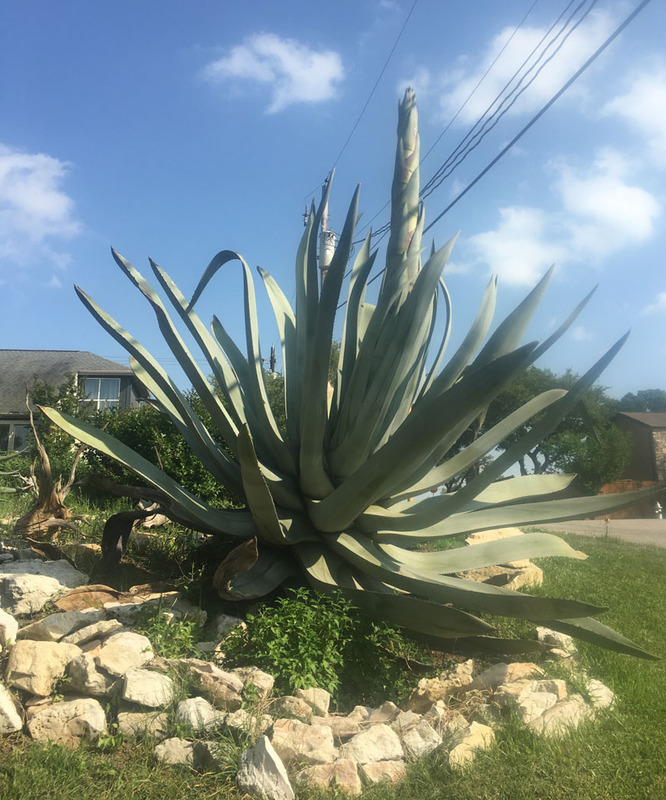 I’m so glad that my neighbors plant for wildlife, since it really does take a village. 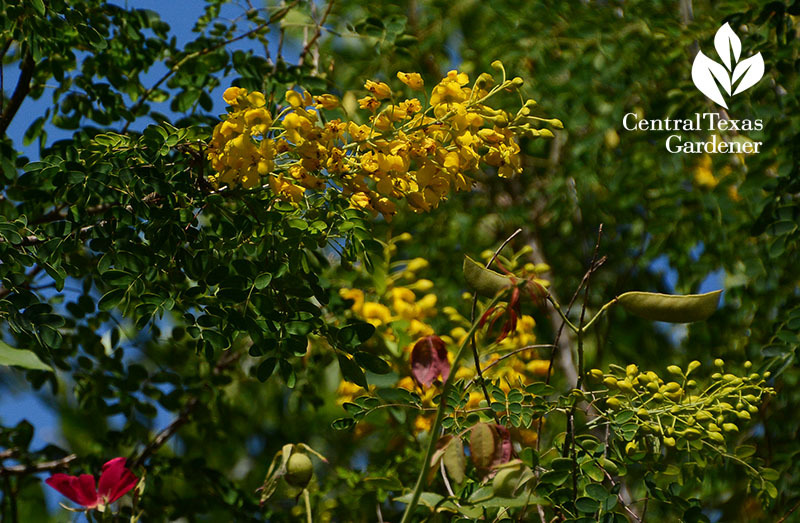 Perhaps bees are multiple-dipping on her Pride of Barbados (Caesalpinia pulcherrima) and my bee plants. Along a street-side hot sidewalk on the way to the park, this woman captivates drivers, bikers and pedestrians all year. 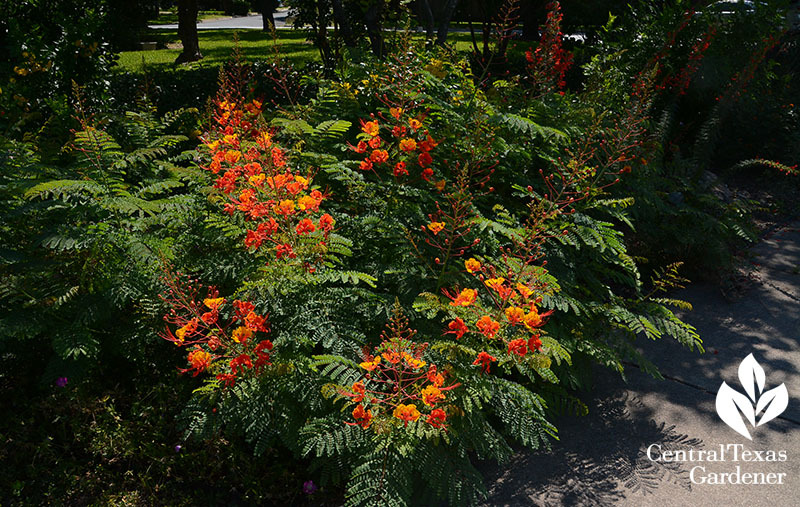 Spring wildflowers have faded, but Pride of Barbados, native standing cypress (Ipomopsis rubra) and many others keep wildlife traffic coming. 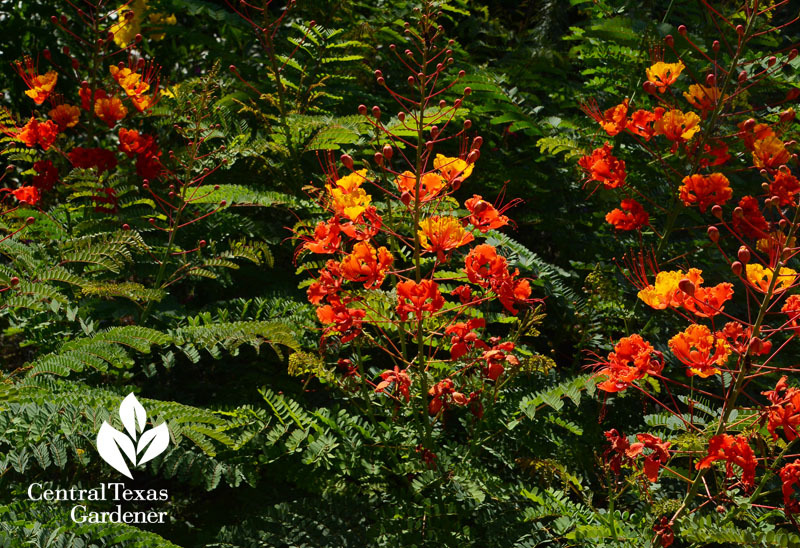 Standing cypress flowers attract hummingbirds like mad. In her garden, flowers only last a few months, but I’ve seen these perennials bloom in fall. Mexican feather grass catches brief, welcome breezes. 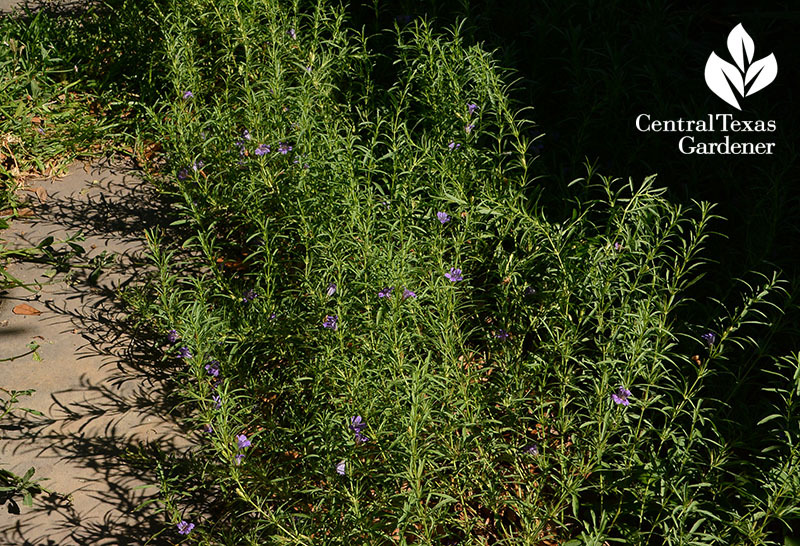 Another neighbor attracts countless pollinators in a hot curb strip with Mexican olive (Cordia boisseri). 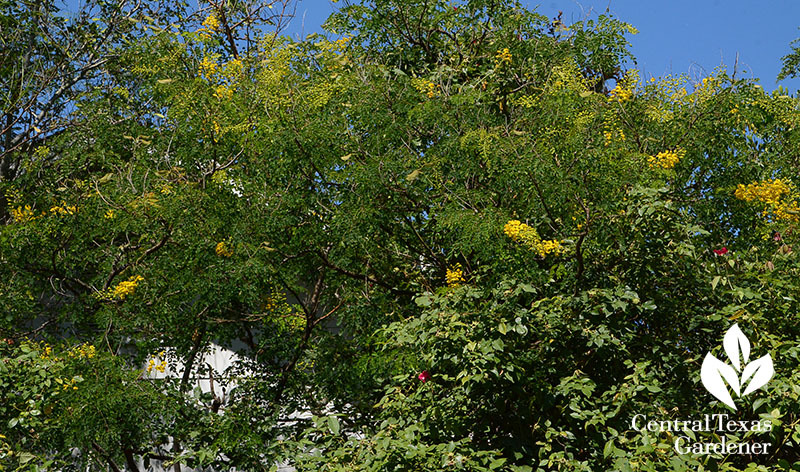 His Mexican Bird of Paradise (Caesalpinia mexicana) is blooming faster than mine, perhaps because it’s older and gets more sun. 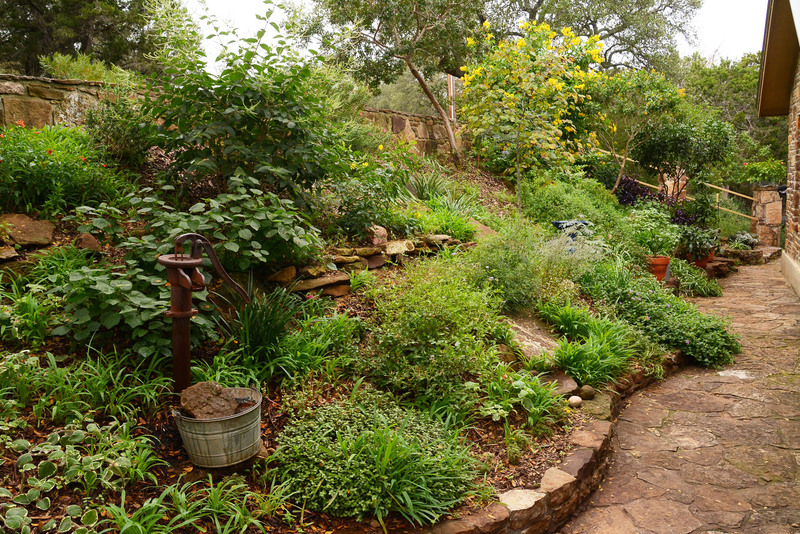 California horticulturist and designer Nan Sterman knows that water wise gardens don’t have to be blah and deplete of wildlife. 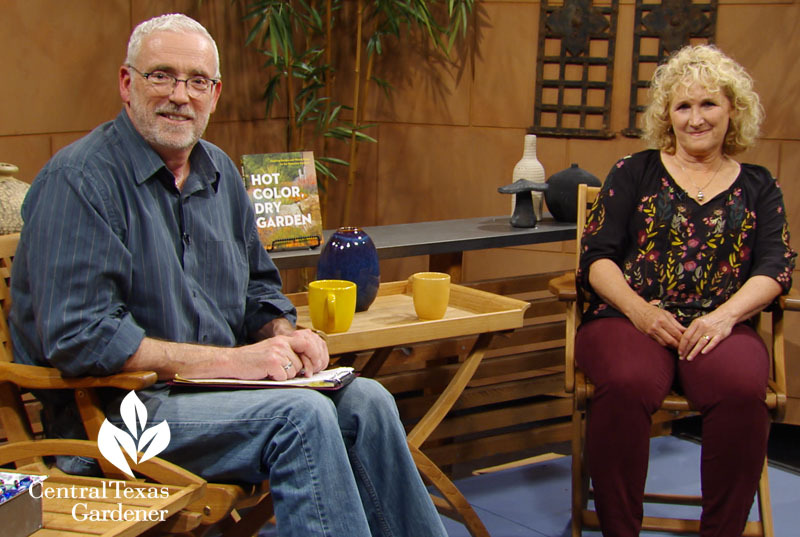 Author of Hot Color, Dry Garden, and host of A Growing Passion on PBS, this week Nan pulls together eye-popping designs with plants, architecture, furniture and accents. 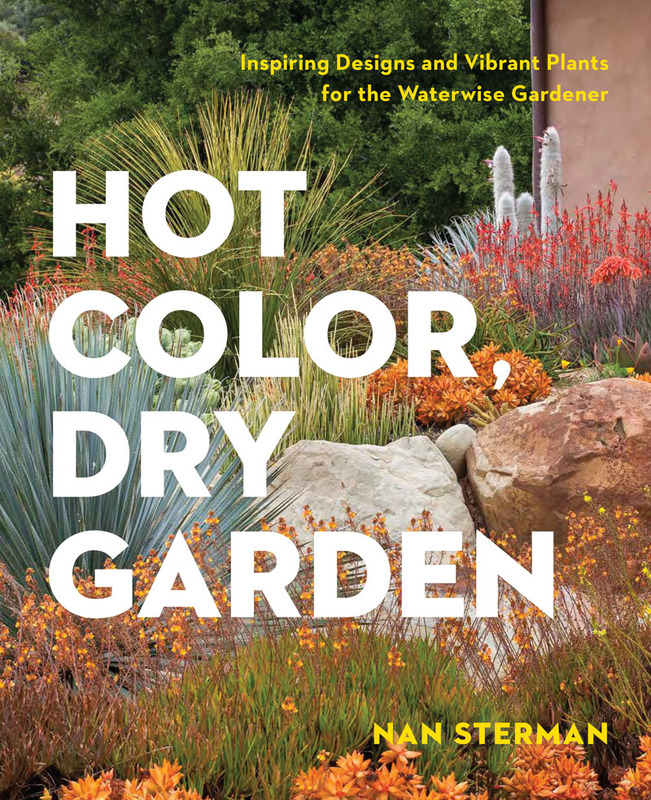 In her book, Hot Color, Dry Garden, she’s taking me on her journeys with personable stories and gorgeous photographs that inspire my dreams. Since Nan understands how style strikes a different chord with each of us, she hits diverse keys that resound with our dreams. 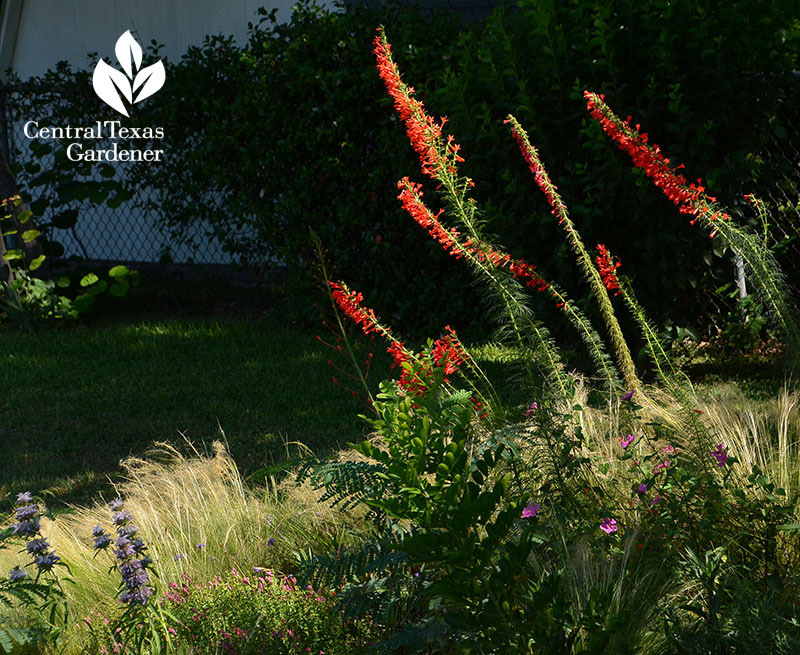 Especially I love reading how she started her own vibrant habitat (for family and wildlife) from scratch. Sure, not all of us can grow every plant she lists in her detailed, colorful directory, but it’s astounding how many we can, including Kangaroo Paw. 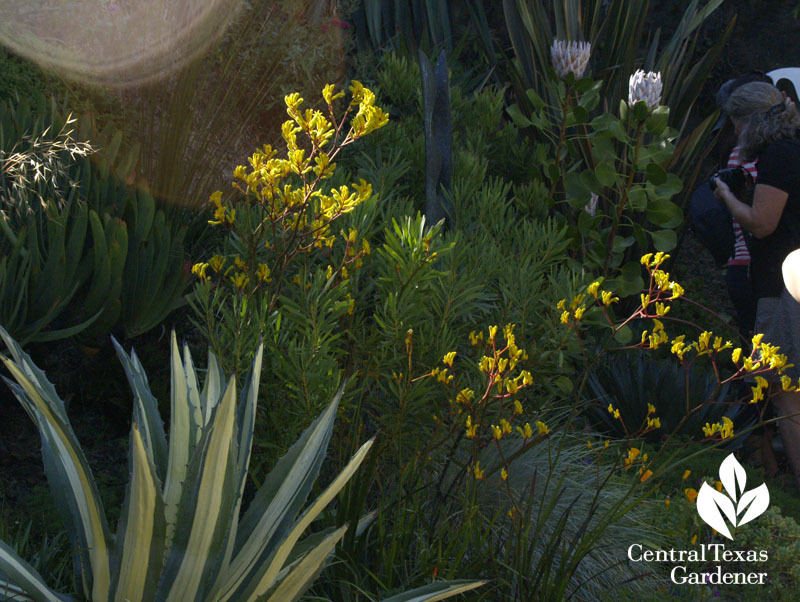 I got this shot on a Garden Bloggers Fling in San Francisco, but next week CTG features ones growing in a San Antonio garden. In any case, I love reading about all kinds of plants to mimic them with adapted designs. 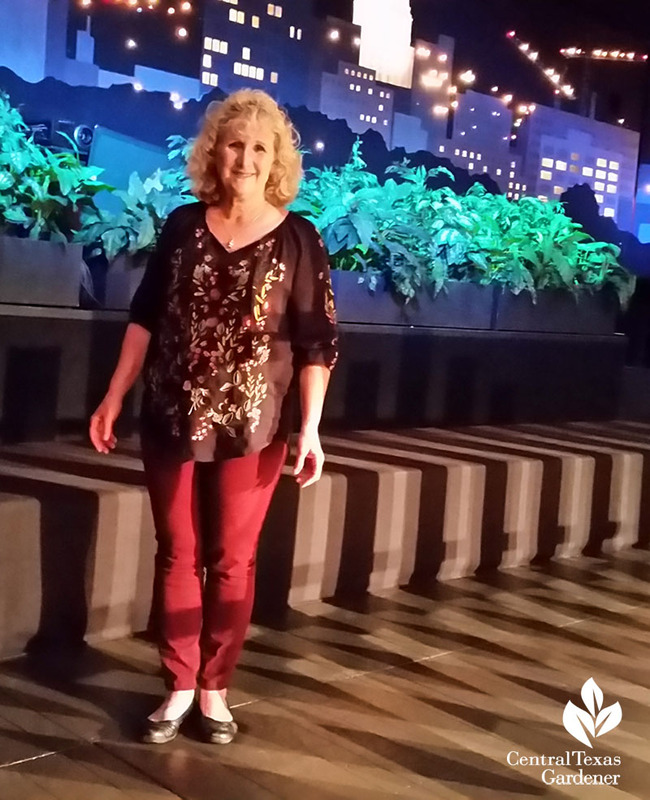 And yes, she’s not from Texas, as Lyle Lovett would serenade on the historic Austin City Limits set, but downright dry Texas loves you anyway, Nan! Watch now! 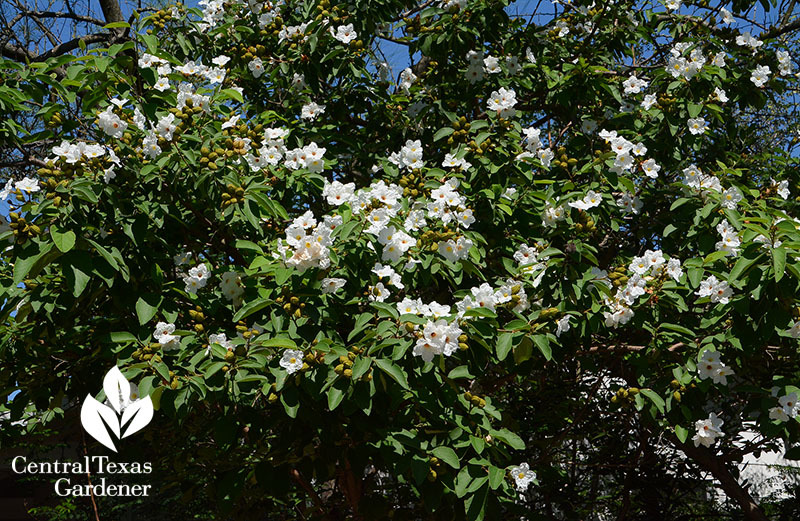 Monterrey oaks, also known as Mexican white oaks, shade our hot gardens and roofs. 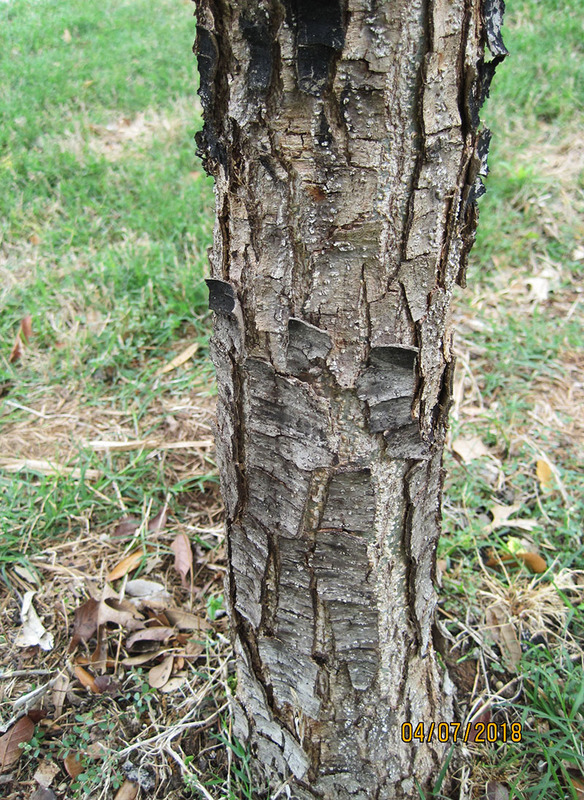 But, bark is scaling on Scott Jones’s 4-year-old tree, and as of mid-April, it wasn’t putting out much new growth. Is this a problem? 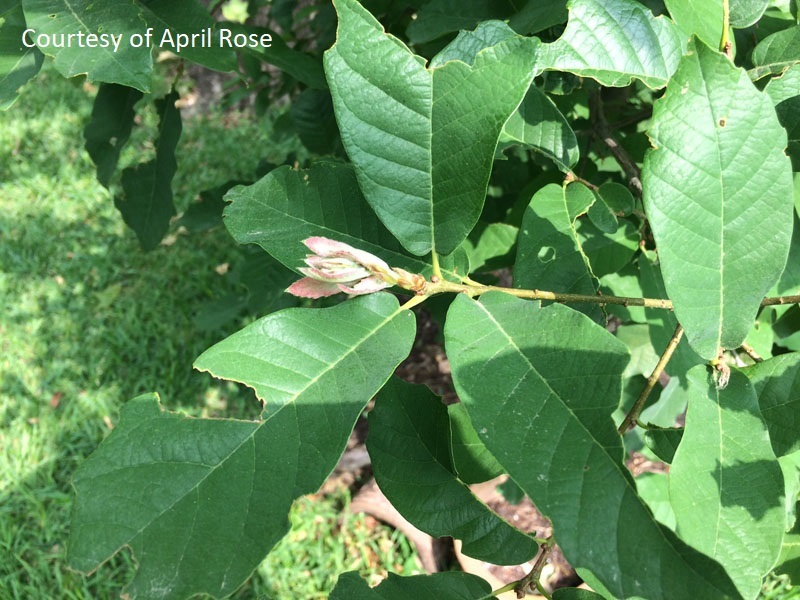 We checked with certified arborist April Rose who said that peeling bark is typical for that species at that age. In our unusually cold winter, many trees leafed out late. April circled back to show us hers putting on new growth in mid-May. 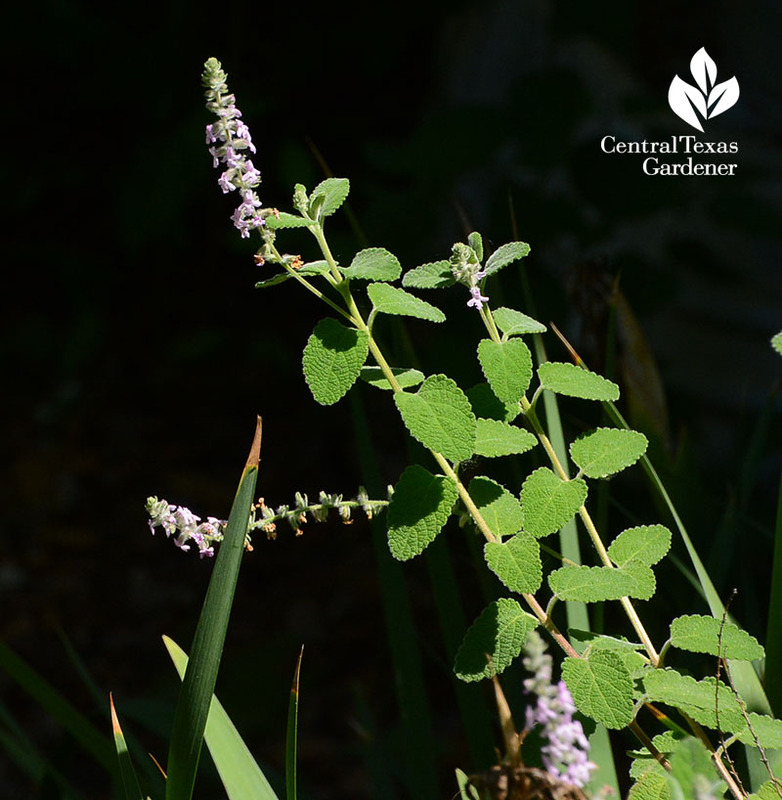 As with all trees, April recommends applying compost annually, maintaining 3 inches of mulch at least to the drip line, and watering deeply. Watch Daphne’s complete story. 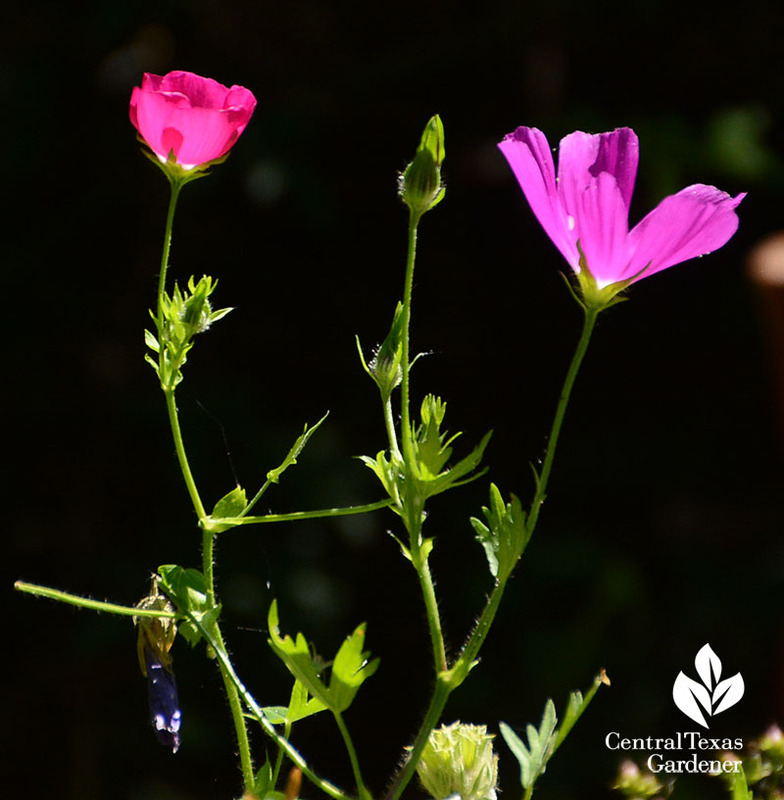 Plants follow their own internal calendar, that’s for sure. 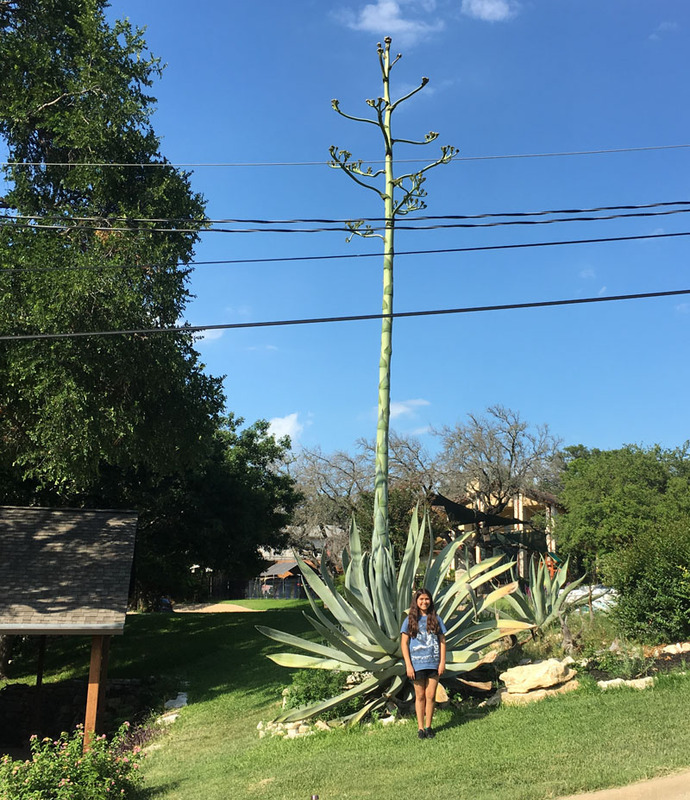 From Orlando, Melissa Vasquez shared her progression of agave bloom spikes from April 14 to May 29. 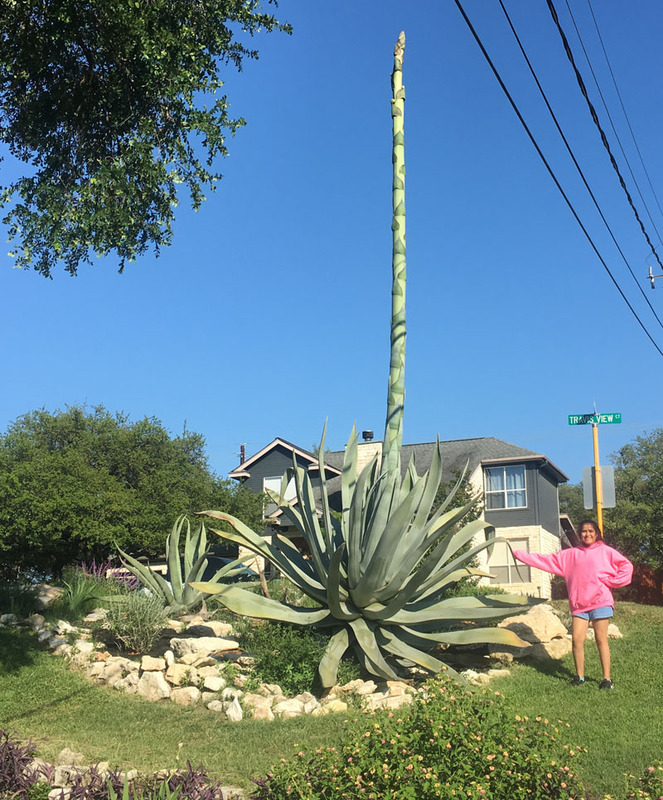 Her 12-year-old daughter stands in as the measuring stick! Regardless of climate and what you’re planting, success starts with healthy roots. 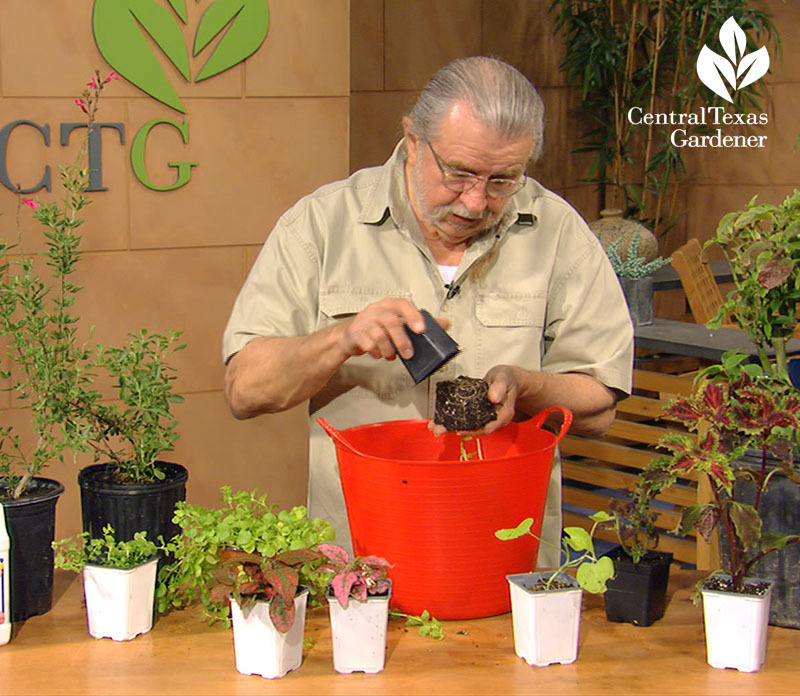 John gets tipsy with nursery pots to identify healthy roots, winding ones to gently pry apart at home, and rotted ones to reject. Watch now! 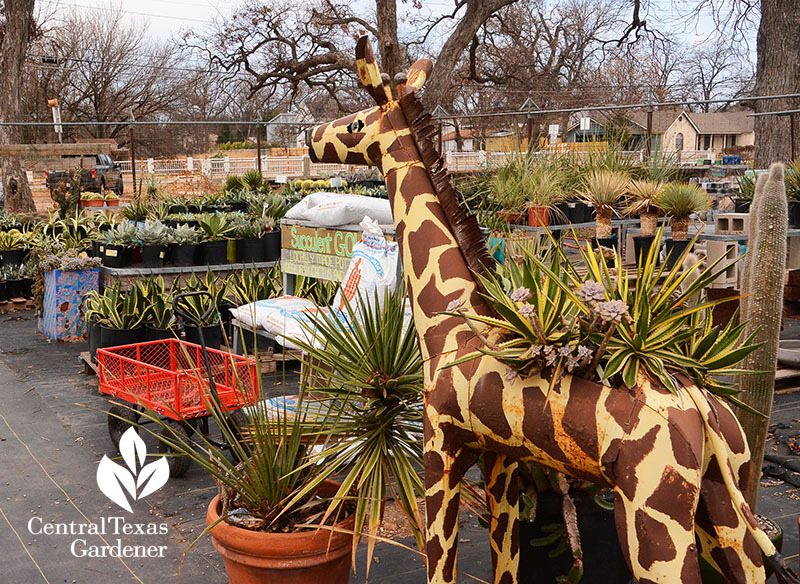 Eric Pedley of East Austin Succulents has been on CTG many times since he first opened his nursery. On tour, see how it all began with partner Julie Patton in their colorful, creative, so-succulent backyard. We taped this a few years ago, so I know that it’s changed and plants have grown in.